Bring large pot of water to a boil with a dash of salt and oil. 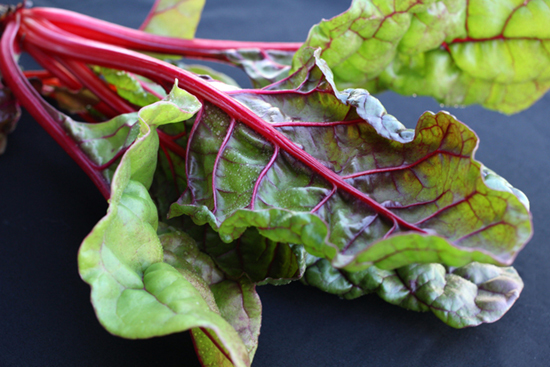 Meanwhile cut chard leaves from stem then slice into 1/2" ribbons. Add pasta to rapidly boiling water. Use the back of the pasta box/bag to discover cooking time, then subtract 3 minutes. For the final three minutes of cooking, add the chard leaves. Drain all once pasta is done cooking. Add garbanzo bean and sauce and serve warm.